PHILADELPHIA — The 50th Quadrennial Session of the General Conference and Bicentennial Celebration of the African Methodist Episcopal Church is being held in the church’s birthplace, Philadelphia, Pennsylvania from July 3, 2016 – July 13, 2016 at the Marriott Philadelphia and Gov. Kenneth Mapp thought that it would be a good place to spend the weekend — so he went there at the government’s expense. The Honorable Governor Mapp, Governor of the U.S. Virgin Islands was unanimously selected to receive the prestigious Bishops’ Quadrennial Service Award in recognition of his election and supreme leadership in the relatively crime-free U.S. Virgin Islands. Governor Mapp accepted the award today during the Bishop Led Worship Service where over 10,000 were in attendance. 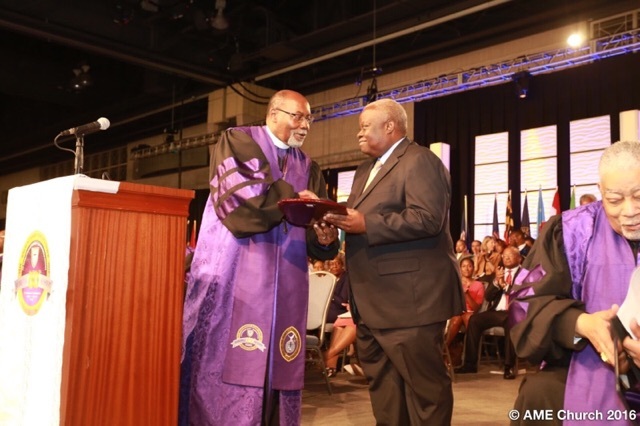 The recipients of this award have demonstrated distinguished and committed service to African, Caribbean and African-American communities and through these services have exemplified the teachings of the African Methodist Episcopal Church. Among those honored at the services were President and Mrs. Obama. They were recognized with the Richard Allen Community Service Award. Governor Mapp, a lifelong member of the AME Church was baptized in Bridge Street AME Church in Brooklyn and has been a member of Bethel AME Church on Queen St. in Christiansted, St.Croix since 1960. The Governor’s family, beginning with his maternal grandparents are life long members of the church, his parents being married there in 1950. 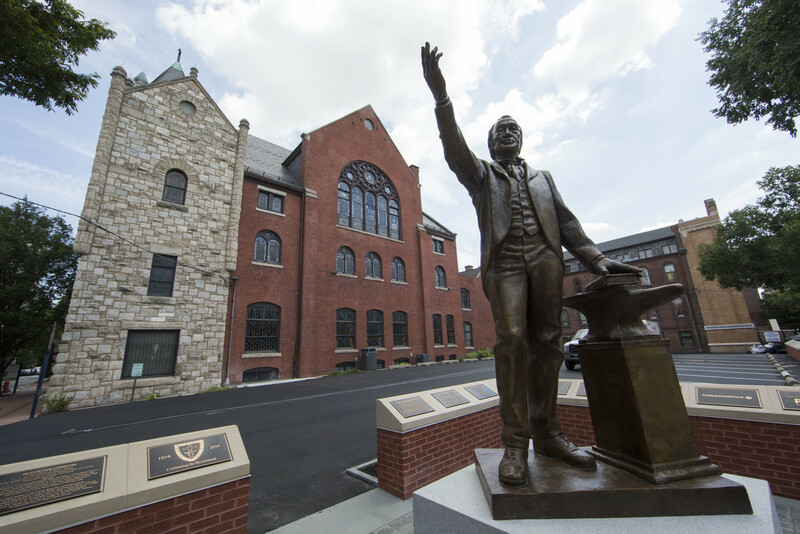 Richard Allen, who was also named its first bishop, founded the African Methodist Episcopal Church more commonly known as the A.M.E. Church, in Philadelphia, Pennsylvania in 1816. It is a predominantly African-American Church and it is the oldest Protestant denomination founded by black people in the world. What started as a church community of 5 churches and 8 clergy in 1816, has now grown to an estimated membership of approximately 7,500,000 worldwide with 81,000 pastors, 21 bishops and 12,000 congregations according to the World Council of Churches. St. Croix is the home of three AME churches, Bethel AME in Christiansted, St. Luke’s in Grove Place and Grady AME in Est. Glynn.